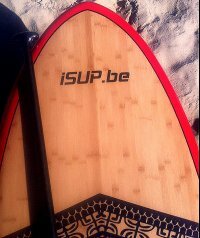 Aanstaande zaterdag (7okt) de laatste van de vier SUP-wedstrijden voor recreanten op de Naish n1sco. Iedereen welkom!! Kids race, sprint race en technische race. Just in time for the holidays, Naish is making it even easier to get your hands on that top-of-the-line race board you’ve been eyeing. Introducing the SUP Domestic Racer Program. For a limited time*, everyone from the most dedicated racers to entry level race enthusiasts are invited to take advantage of special team rider pricing on the most coveted elite race equipment**. Join the best athletes in the world—like Kai Lenny and Casper Steinfath—in riding these expertly engineered shapes and maximize the power behind your every stroke. Participation is simple. Those interested need only fill out the online form to be contacted by their local Naish rep.
*ORDER MUST BE PLACED BY January 1st, 2017. Sign-up while supplies last. **Exclusions apply. See website for details.